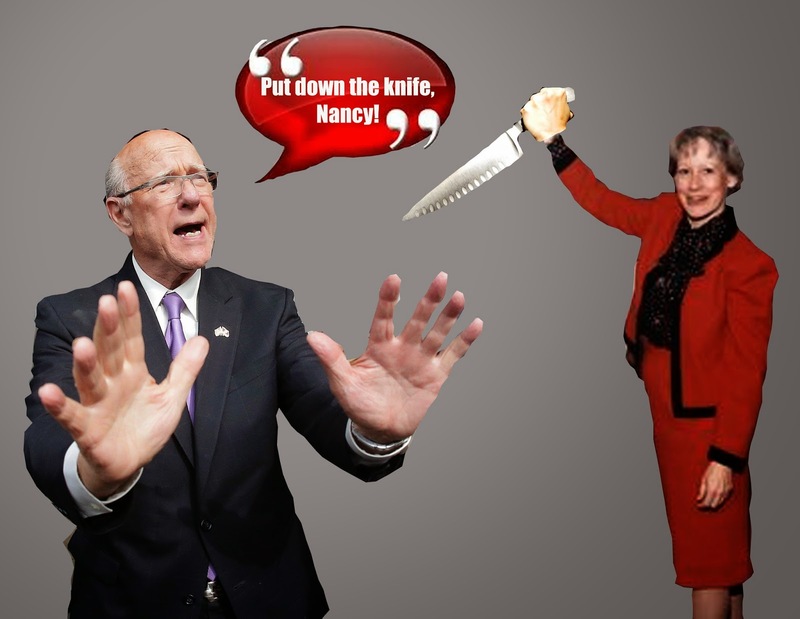 The Kansas City Star reports today and the Washington Post reported last week that former Sen. Nancy Landon Kassebaum refused to do a commercial for Sen. Pat Roberts. I sure as hades hope the Roberts campaign wasn't dumb enough to ask her. I am pretty certain they did ask. Otherwise, Kassebaum is senile in addition to being a traitor. Kassebaum says Roberts has moved dramatically to the right. Well, of course he's to the right of her. Pro-abortion, friend of Kennedy, Kassebaum has never been a conservative. She barely even played one in the U.S. Congress. Since the day she left office, she has consistently served as a stooge for liberals, allowing herself to be named as a "Republican" for Whatever Cause of the Day. Quite frankly, she's an embarrassment to the great state of Kansas, and a cautionary tale against electing people simply because they have the "right" last name. Yes, she was the first U.S. Senator to be elected to a seat without following in her husband's footsteps. But let's be honest: She landed in the U.S. Congress in large part because she had a man behind her -- her father, former Kansas Gov. Alf Landon. The Republican Party showed loyalty to her precisely because of her father, but she has never shown an ounce of fidelity to the Kansas GOP. It's ironic that a major complaint she voiced to the Washington Post about Sen. Pat Roberts is that Roberts didn't show loyalty to former Sen. Bob Dole. Roberts she j'accuse voted against a U.N. Treaty pimped by Bob Dole. "People thought, 'Gosh, why couldn't he have done that for Bob?'" Kassebaum whined to the Washington Post. "That just triggered an emotional disappointment with Pat. I think that carried on and has not been changed." I've explained this before: Just because Bob Dole advocates for something, that doesn't mean it's right or that it can't be questioned. Or that the opposition is extreme. And the fact that he's in a wheelchair doesn't mean his support of an issue deserves additional credence. The Dole-approved treaty declared the state in charge of determining what is in the best interests of a disabled child. And when the U.N. finished determining the best interests of disabled children, they would start considering the "economic, social and cultural rights" of the disabled. Just to recount: The U.S. is already the worldwide leader of rights of the disabled. The Dole-approved U.N. treaty did not bring other countries up to our standards. Pat Roberts voted against that horrendous treaty, over the objections of Bob Dole. Dole, by the way, is campaigning for Roberts, because Dole is a man of integrity. Nancy, there are a few things more important than loyalty. One of those is principle. Unfortunately, Nancy has neither loyalty or principles. Part of your argument that she's insufficiently conservative is because she's friends with someone? Seriously?